You can write reviews with photos from your product page follow this instruction. You have to enable each review before it show up on your product page. 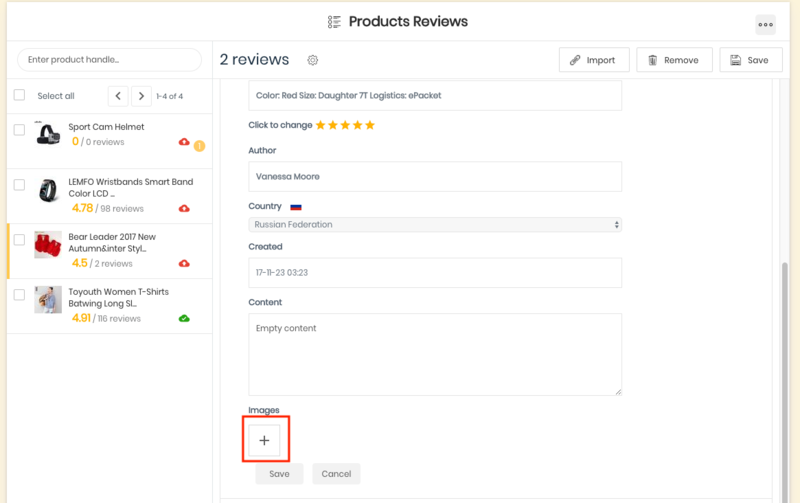 Go to your product page and click Write reviews button. Write your comment on your product page including photos. Go to My reviews > Enable review > Save the changes. 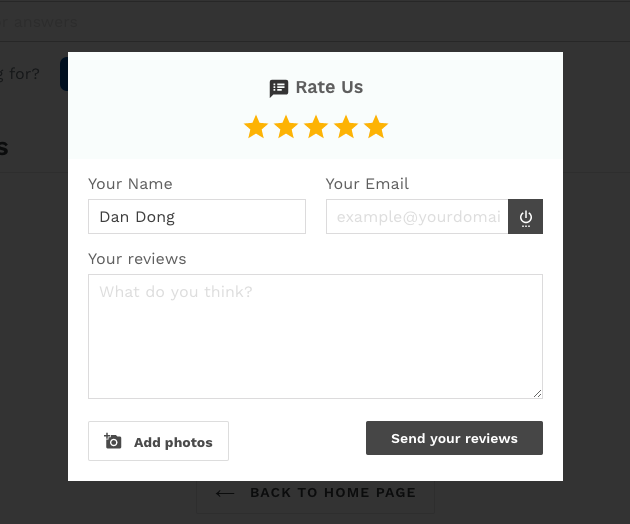 Add photos to your existing reviews. Go to your My reviews, select product, click on Three-dot button, select Edit, add photos by clicking on plus ion, and then click Save button.